We were asked to refurbish this large greenhouse because the glass was broken and extremely dirty and many of the clips used to hold the glass in place were missing or just no longer usable. 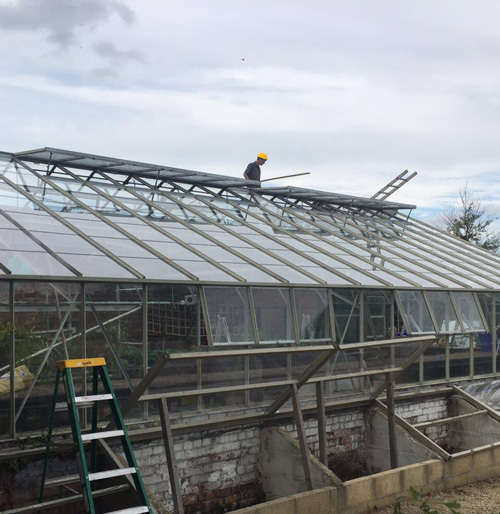 After a survey of the greenhouse, the decision was made to replace much of the glass amounting to around 400 panes of 3mm horticultural glass. A broken glass structure such as this is of course quite a dangerous environment as the glass is thin and brittle so it is important that much care is taken while working to remove and install the glass panes. 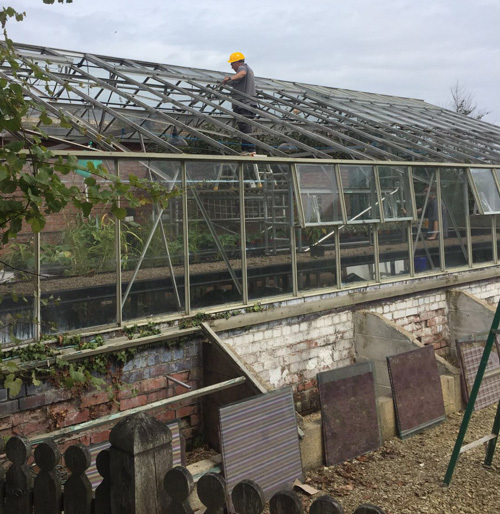 Several of our glaziers carried out the works to bring the greenhouse back to a safe usable condition and ready to serve its purpose again.